Good references to adding a bit more flavor to your client logos (on hover) in this dark-scheme One Pager for Ad Victorem. Neat touch with the animated logo that’s interactive too. 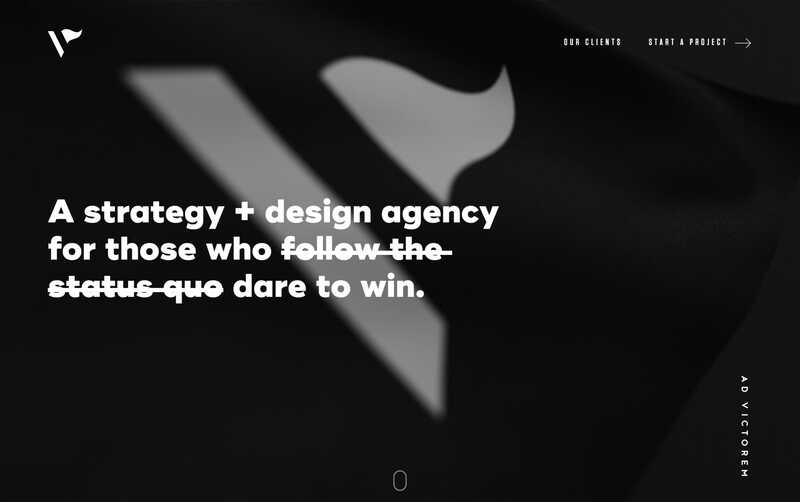 Based in Los Angeles, Ad Victorem is a Webby award-winning creative agency that brings strategy, design and digital together for challenger brands that live to compete and love to succeed.